On Aug. 29, 2018, NJ Senators Booker and Menendez announced a series of security grants for public and nonprofit recipients with the purpose of improving security across the state. Among the recipients are a dozen Jewish organizations from the heart of NJ's Monmouth and Greater Middlesex counties. The Jewish organizations received more than $1 million combined, due in large part to the Jewish Federation's facilitation and support through the grant application process. This brings the total value of security grants received by Jewish organizations in the heart of NJ to more than $3 million awarded over three years. Excerpts from the Senators' joint press release follow. NEWARK, N.J. – U.S. Senators Cory Booker and Bob Menendez (D-N.J.) announced today $66,974,651 in U.S. Department of Homeland Security (DHS) funding for the State of New Jersey. The grants will bolster state and local government port security, terrorism prevention, emergency preparedness, and transit security efforts. 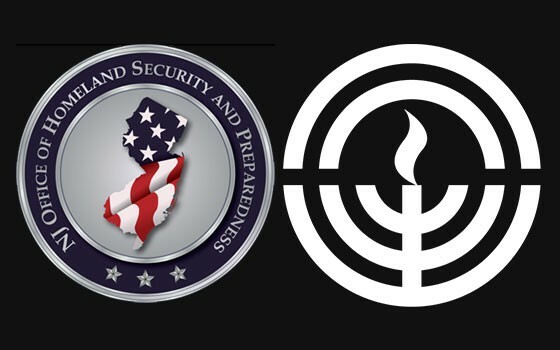 The State of New Jersey received $7,993,000 from the State Homeland Security Program for the implementation of state homeland security strategies to prevent, protect against, mitigate, respond to and recover from acts of terrorism, and an additional $8,365,698 for the Emergency Management Performance Grants program to prepare for all hazards and to provide a system of emergency preparedness. An additional $22,750,000 from the Urban Security Initiative program will support the planning, organizing, equipment and training needs of high-threat, high-density urban areas against acts of terrorism, and $8,684,930 in Nonprofit Security Grants, including $296,425 for organizations located outside of urban areas will help religious and other community organizations protect themselves from security threats.